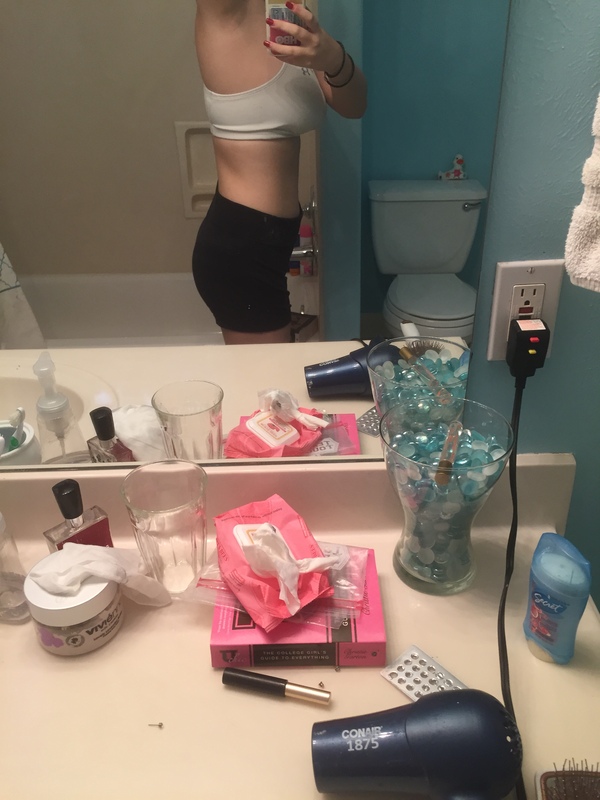 Here’s my body today! 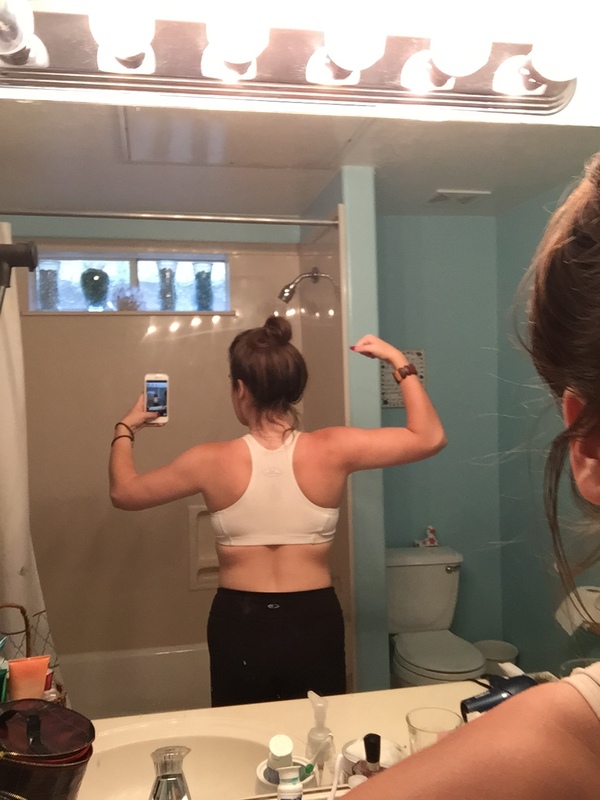 I’ve noticed changes in my biceps, legs, and other areas, but I don’t see a big change overall. 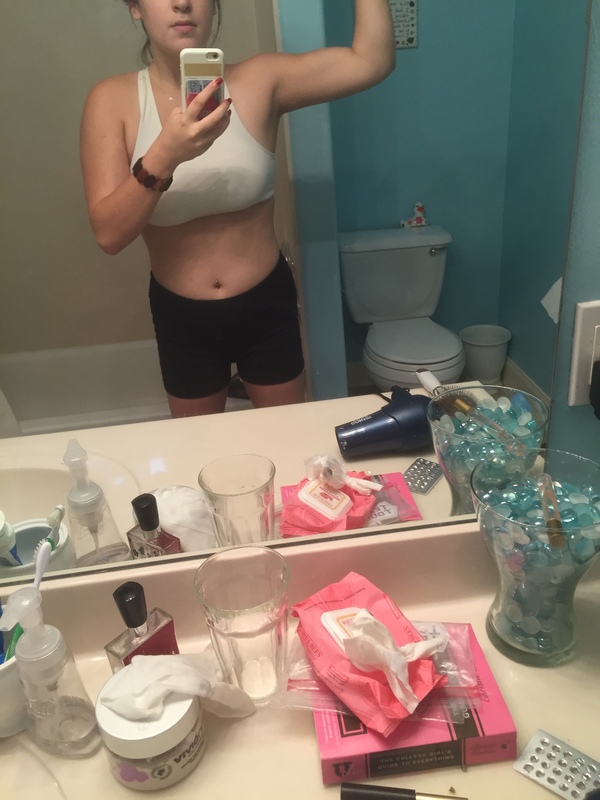 Change is slow though, so I’m trying not to get discouraged! Also, I start “that time of the month” in a day or two, so I could be holding water weight. Hope you enjoy! 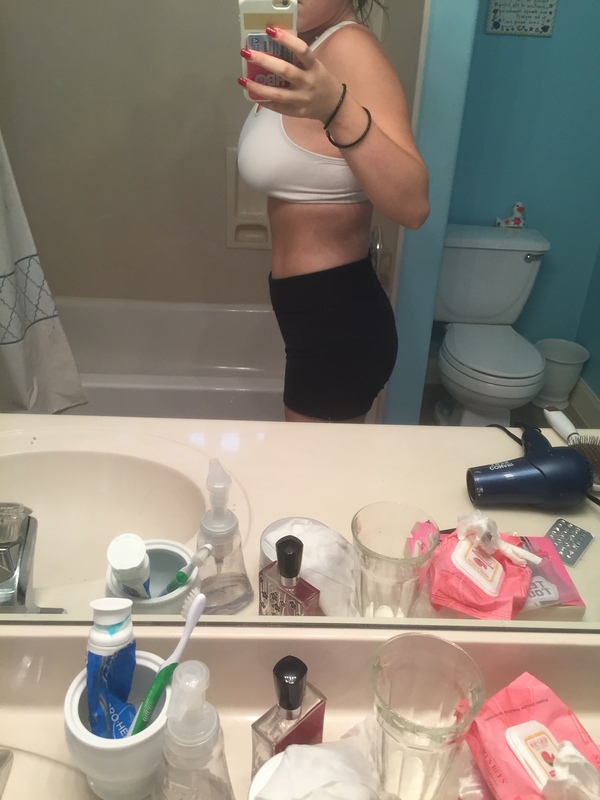 Let me know what you think I need to improve on, and, yes, I know I have back fat, but I always have, which is beyond annoying.